Renata Kessler had known about her father’s Holocaust diary since she was a teenager, but she wasn’t allowed to read it. She wasn’t “grown up” enough, her parents told her. But even then, her mother hinted that one day, she would not only read the journal in its entirety but also publish it for others to read. Kessler will discuss the journal she edited — now a book titled The Wartime Diary of Edmund Kessler: Lwow, Poland, 1942-1944 — at Bnai Keshet in Montclair this Friday evening. 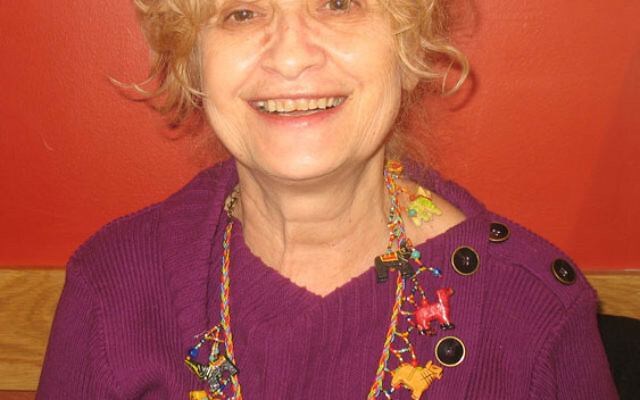 Kessler, who lives in West Orange and is a member of Bnai Keshet, earned a master’s degree in Jewish Christian Holocaust Studies from Seton Hall through the work she did preparing the book for publication. Kessler grew up knowing little about her parents’ past. Born in 1946 in Vienna, “on the funeral pyre of my family,” as she writes in an epilogue to the book, she grew up on the Upper West Side of Manhattan in an era when a code of silence surrounded the Holocaust. Kessler’s parents survived the Holocaust hidden in a bunker near that farmer’s home with 22 other people in what was then Lvov, or Lwow, Poland (now Lviv, Ukraine). They were already married; her father, who spoke five languages, already had advanced degrees, including a doctoral degree in law. His education gave him a unique ability not only to describe events with a poetic sensibility, but also to analyze and contextualize the events going on around them, before they moved into the bunker, before the ghetto was liquidated and the Jews deported. But he also wrote, “Banned from moving in the streets, the Jewish population was starved as food shortages arose, much as it had during the first days of the German and Soviet invasion of Poland. Bombings magnified the devastation of buildings caused by the fighting. Industry and trade, concentrated during Soviet times in the hands of state and cooperative organizations, suffered such a powerful shock that several weeks were needed to put the entire machinery back in motion. The mistrust of the Soviet ruble and the relatively weak confidence in the new currency, as well as the uncertainly about the ratio of one to another, further added to the commercial chaos. The prose section of the diary ends before the Kesslers moved into the bunker. A section of poetry that includes descriptions of life in the bunker follows. The book also includes a memoir of that period written by Kazimierz Kalwinski, the last living son of the farmer. 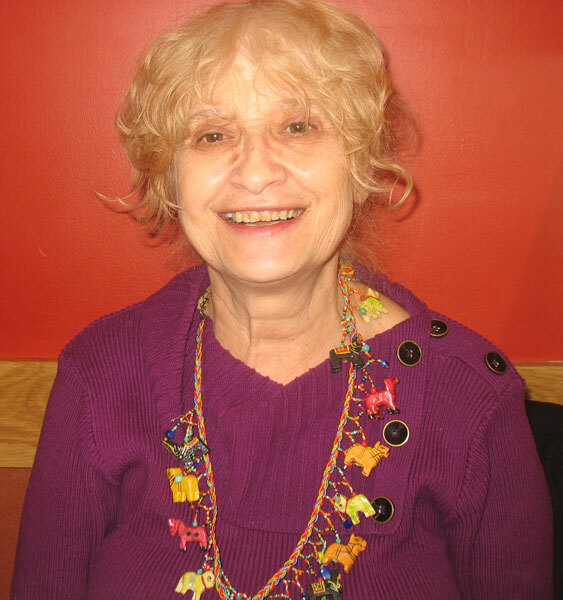 Kessler’s mother, Fryderyka, told her about the diary when she started writing poetry as a young teenager. At her mother’s behest, her father shared one poem and allowed her to translate it from Polish into English. “It was very powerful and terrible. It was about Jews being loaded into cattle cars and deported. I was very frightened and upset,” Kessler recalled. She never thought about the journal consciously again, except briefly, near the end of her father’s life, when he started to translate it himself. Even then, he only allowed her to see the poetry. He died in 1985. When her mother died in 1996, the diary was the first thing Kessler looked for. “I felt it had a very important secret and at that moment, I wanted to know what my parents had experienced.” Also, she pointed out, in the intervening years, American culture had changed dramatically. “It had become ‘fashionable’ to be a survivor,” she said. She found the journal hidden in a linen closet. The book was published in Poland in 2007 and in the United States in 2010. The English edition includes not only the journal and the memoir, but also a letter from another woman who lived in the bunker, as well as Kessler’s account of her journey to Israel, Poland, and Ukraine to search for her past. When she read the journal for the first time, she said, “it was so powerful, I couldn’t believe my father wrote it when he was only in his 30s. He was younger then than I was when I found it. He had so much insight at so young an age. I didn’t know my father could do this. I had underrated him. I saw a whole different side of him. When I was in my 30s, I felt he was disappointed in me when he said, regrettably, ‘You have not matured.’ Now I know what he was talking about.